Pertussis is an eminently contagious respiratory tract infection, that is also known as “Whooping Cough.” In the majority of cases, it is experienced as a severe hacking and impairing cough which is followed by an excessively-pitched intake of breath. That intake of breath sounds like “whoop,” which directly leads to the explanation of the name of the disease. A whooping cough mainly affects kids at the young age, which are too immature to have completed the course of vaccinations, or whose immune system developed by the vaccinations has already diminished. Currently, fortunately, the number of deaths originated from this decrease is not high, yet it is of tremendous importance to be careful not to get caught by this disease. Owing to the fact that it is particularly spread among newborn children, both the pregnant women and other people around must be conscious and stay alert in order not to get infected. Pertussis is a disease that is caused by Bordetella pertussis, a bacterium that originates in the nose, mouth, and throat. In general, the whooping coughs that engage infected children last from four to eight weeks, depending on the organism of the child. If the immune system of a child is too weak for overcoming the problems created by pertussis, the recovery from it will take longer, leading to difficulties and complications. Sadly, in most cases, children are tainted by those people who don’t even know they have a whooping cough, which makes pertussis an unexpected and dangerous sickness for kids. As soon as an infected person starts coughing, sneezing or laughing, microscopic droplets are sprinkled into the air and transformed into the lungs of the person who is nearby the infected one. The bacteria that appear in breathing airways stick to the miniature hairs that are in the linings of the lungs. Those attached bacteria are the very ones that cause sore, tenderness and irritation, followed by long-lasting whooping coughs. What Are The Signs And Symptoms Of Whooping Cough? Just after one gets infected by whooping cough, it will take days to obtain the signs and symptoms of the disease; moreover, the extent and length of the symptoms depend on the organism and the strength of the immune system of the person. The confusing, distracting and embarrassing part of the sickness is that its symptoms are like a simple cold’s signs, which is the reason why a myriad of people find out they are infected late enough. If a child is thought to be infected with whooping cough or has been present in a room with a person having whooping cough, immediate treatment should be conducted, even if the child had passed the whole course of vaccination. If the child is being treated at home and no further improvement is experienced, a professional hospitalization must be conducted. What Are The Possible Complications Of Whooping Cough? Since infants may not be vaccinated or treated on time, they can face extreme life-threatening problems which require quick cure and hospitalization. Can Whooping Cough Be Treated? A whooping Cough is treated with the help of antibiotics, which are believed to be the most effective and rational way aimed towards shortening the infection period, right before the coughing signs start to appear. Even though the impact and effect of antibiotics are immensely powerful, it is crucial that all family members and other people that have contact with the sick person are treated with antibiotics. Otherwise, the risk of spreading whooping cough will increase greatly. Kids with whooping cough can be cured both in the hospital and at home, depending on the age of the child and directly on the difficulties caused by the disease. Usually, those who have not reached their six months of life are taken to the hospital, owing to the fact that those children are at the high risk of getting diseases like pneumonia and many others that have already been mentioned in the article. After a child is taken to the hospital, the first important step is clearing the breathing airways. Moreover, an additional procedure of oxygen providing can be conducted if needed. Afterward, if the symptoms of dehydration are vivid, intravenous (IV) fluids must be used so that further complications are avoided. What comes to the spread of pertussis, precautions can be used to prevent the further spray of the bacteria to other people. While talking about the home treatment, infants should be strictly and thoroughly treated with the antibiotics and steps that have been prescribed by the doctor beforehand. Sure, the usual and wide-spread medicine and treatment ways will not help in this case, since they are not used for hard diseases like a whooping cough. How Can Whooping Cough Be Prevented? Auspiciously, pertussis can be prevented by the usage of the special vaccine that is a particle of the DTaP immunization. They are given in five doses to the child, right before a child is six years old. If there is a fear or contemplation of losing the strength of the vaccine and its fading, a new shot of vaccine should be conducted, which is called Tdap. In general, the additional vaccine usage should be organized when the potential patients are from eleven to eighteen years old. 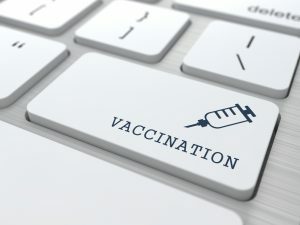 The vaccine may be given to pregnant women when they are up to their second half of pregnancy, regardless of their vaccination story, in order to prevent the disease, spread as well as its origination. one, with the difference of the concentration of tetanus toxoid and diphtheria, which are the main core components of the vaccines that are aimed against whooping cough. Being an air-spread disease, pertussis, also known as whooping cough, is of high danger both for kids and adults if it is not cured properly and on time. For the purpose of not getting infected, the prevention should be conducted, the best way of which is the usage of vaccine by pregnant women in the second half of their pregnancy. If pertussis still caught a person, further treatment must be immediately conducted so that no further problems are experienced, and the spray of the bacteria does not occur. Nowadays, the technology and medical treatment methods are more developed and advanced then never, providing great cure opportunities for everyone infected. Yet, it does not mean that the disease should be taken easily and not paid enough attention to. The final and concrete treatment is valid when the steps and vaccine are prescribed by a professional, and they are followed with great seriousness and consciousness.